A recycling oasis provided by a major retailer which already donates a portion of its annual profits to doing good. The stop even includes complimentary hand sanitizer. 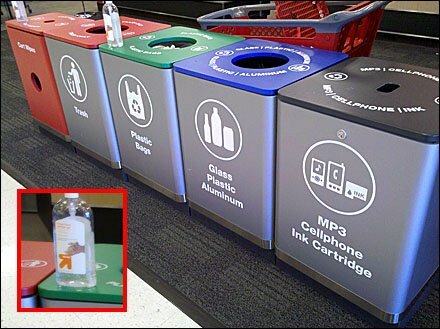 And in case you can’t pick up on their signature color and shopping cart style – “Good job Target.” I just wish the public could be trusted not to abuse such community and planetary spirit were the recycling bins to be left curbside for easier access and use by all.